In this post I would like to Explore the Multibagger Potential of the company. This is based on a blog reader request. The company based in Gujarat founded in 1980s is into the business of Vehicle Manufacturing primarily in the 3-wheeler targeting Cargo & Passenger segments. Company maintains No.1 position in the Diesel 3-wheeler segment in Gujarat. Earlier in 1970s, the company started with invention of ‘Chakkada’ which was a big success. The current CEO inherited the business from his father & currently have PAN India presence with 330+ primary & secondary networks of distribution centers across India. The company also have Petrol/CNG variants with Overseas presence. The company has 850+ employees and 60000 production capacity. The company CEO is Mr. Jayantibhai J Chandra. He performed previously as Managing Director of Khushbu Auto Finance Ltd. another subsidiary. Company has a Good Research Team. The company produces 3-wheeler in all Fuel range Petrol, Diesel, CNG, LPG and Electric. Electric Vehicles R&D on Card to accommodate Future trends. Good Array of Products visible while ATUL Shakti is the new in array covering Passenger & Delivery segments. FY18 had Sales Growth of 24% and Export growth of 40%. India three-wheeler market is projected to exhibit a CAGR of more than 15% by 20235. Company does not have any Debt problems as it maintains Debt as Zero & Current Ratio above 1.8. CRISIL has reaffirmed rating as CRISIL “A” with stable outlook. HDFC Small cap & ADITYA BIRLA Mutual Funds are Invested. Company has invested into the Green Vehicles Variant to curb the Vehicle Pollution issues. It owns a Subsidiary Atul Green Automotive to accommodate this Green Variants. New plant in Bavla near Ahmedabad which supports Future Expansion aspirations. Urbanization, India Growth Story, Green & Electrical Vehicle usage will be Boost to the company in coming years. Demonetization & GST has impacted the Sales of the company. Any such reforms in the future will Negatively affect the company. The past FY 2015 seems to have the higher number of sales. The direct Competitor Bajaj Auto although seems to have higher sales in FY2018 too. Cash Flow seems to be not steady. FY2017 seems to have provided the highest cash flow. Current year Net Cash Flow is negative due to Capex expenditure. Crude Oil Price increase can adversely affect the company sales. Management seems to be Immune to Debts. This affects the Leveraged growth & expansion of the company. The sluggish growth rate of 10% may be due to these factors. Major competitor is Bajaj Auto which dominates the 3-wheeler industry. Other Competitors are Piaggio & Mahindra. 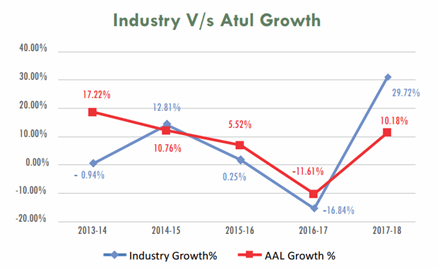 The Penetration & Network of Atul Auto needs to be multifold increased for growing above these niches. 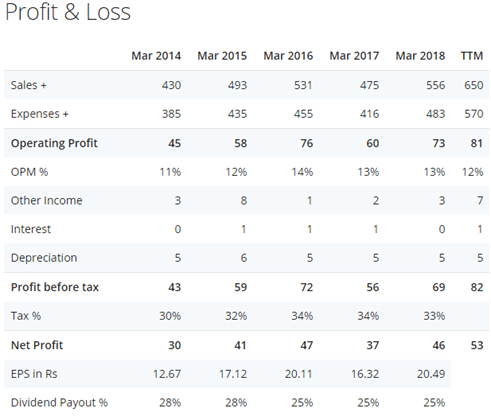 Sales & Profit Growth is visible for the current year. Yes. However the Rate of Growth is Not too Impressive. Yes. 15% CAGR Sector Growth forecasted for next 5 years. DER is 0. CR is 1.8. Both are Very Good. All 3 are decreasing for current 2 years but within range. 2015 holds the highest price value. Low Volume. Good if Growth manifests. Moderate Brand compared with Big Peers. Based on the above analysis I would like to say that the company possess Multibagger properties but not in a Great Order. Hence be cautious about Investing in it. Disclaimer Futurecaps is an independent equity research team. Use of the information herein is at Investor’s own risk. This is not an offer to sell or solicitation to buy any securities and Futurecaps will not be liable for any losses incurred for the investment based on the advice. The Investor is advised to do due diligence in the scrip mentioned. None of Futurecaps Advisors hold 1% above Holdings of this company. This stock analysis is part of our Free Services where Tracking & Updates will not be provided. We encourage Serious Investors to Buy our Premium Service where our Adviser Team is investing along with Tracking & Updates.